When it comes to car insurance and homeowners insurance, Seeman Holtz can help you get the best. Sure, it’s important to find savings when it comes to car insurance and homeowners insurance. But the best insurance covers you when you most need it. That’s what Clearsurance found in its recent survey showing the top car insurance and homeowners insurance companies. At Seeman Holtz, we believe in providing each individual with not only the right insurance, but with the right service to meet your needs. 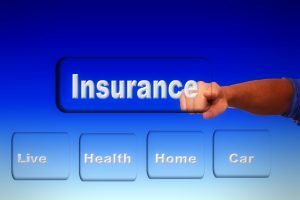 We are an independent Boca Raton based national insurance agency offering major insurance carriers across the country, featuring all lines of personal and commercial insurance with unrivaled attention to client service. Our proactive seasoned advisors provide each client with an annual risk analysis to make sure your insurance needs match your ever-changing family and financial situation. We work closely with you to review all of your options and assist in making decisions based on an insurance carrier’s reputation, coverage, and financial stability. Licensed nationally, our vast relationship and access with premier carriers guarantee us finding you the best plans, advice, service, and most of all, peace of mind. When it comes to car insurance, we will start by analyzing your current auto insurance policy and offer independent, objective advice. If in fact changes need to be made, or if you need a brand new policy, we will secure quotes from the best national auto insurance carriers across the nation to make sure you receive the most extensive coverage at the best rates possible. Our dedicated customer support team is here in Boca Raton Florida and in Chatsworth California ready to serve you, whenever you need us. Contact us today for a complimentary quote on your auto insurance.